Thanks everyone for coming out on Saturday to the first of the winter markets at the Forest Ruritan building on Rustic Village Rd. Hope to see you again on February 9th! 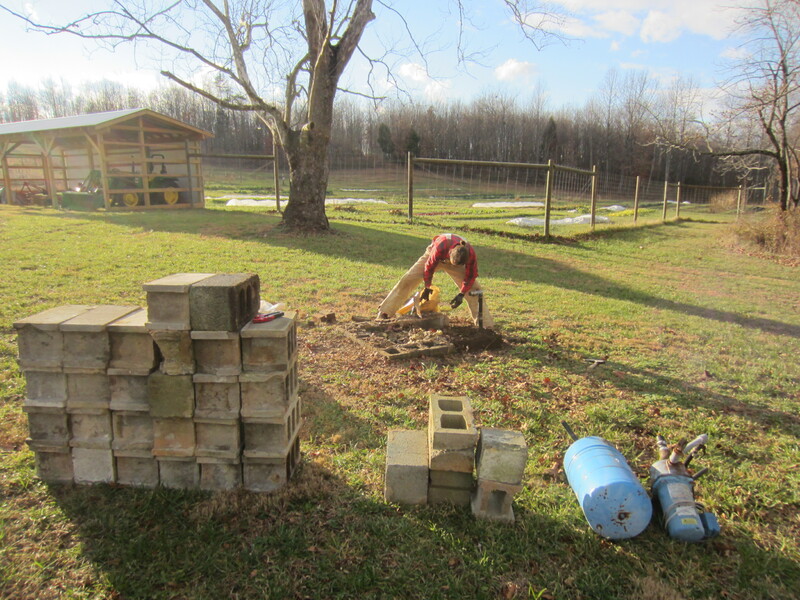 We have been making progress on all the winter projects with our ‘down time’ from growing. One project was to take down this old pump house. I suppose it used to have a roof on it to shelter the pump but it has been open to the weather for as long as we’ve had the property, exposing the mechanisms and providing a home for snakes. 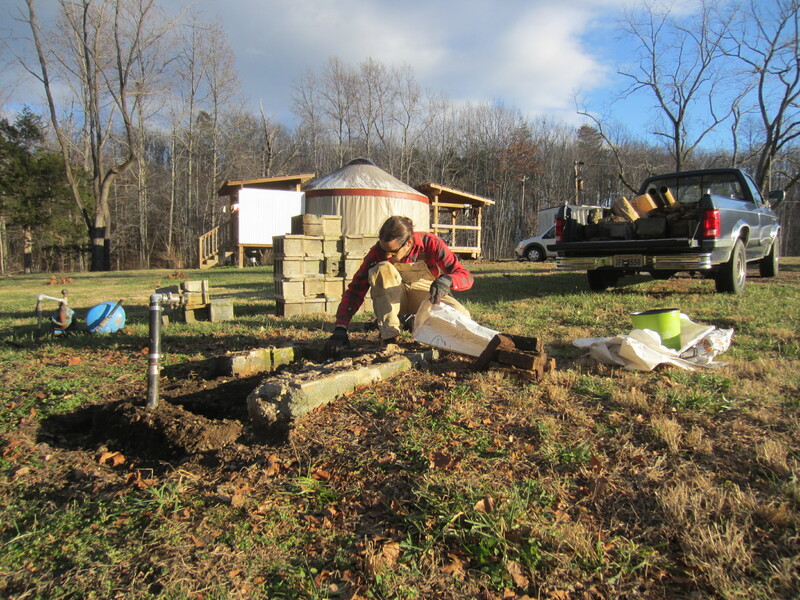 The nearby spring yields about a gallon a minute and was the source of water for the trailer. Our needs for water, with all the irrigating we do in the summer, are much greater than the spring could provide. The house made mowing in this area a little more difficult than it needed to be. 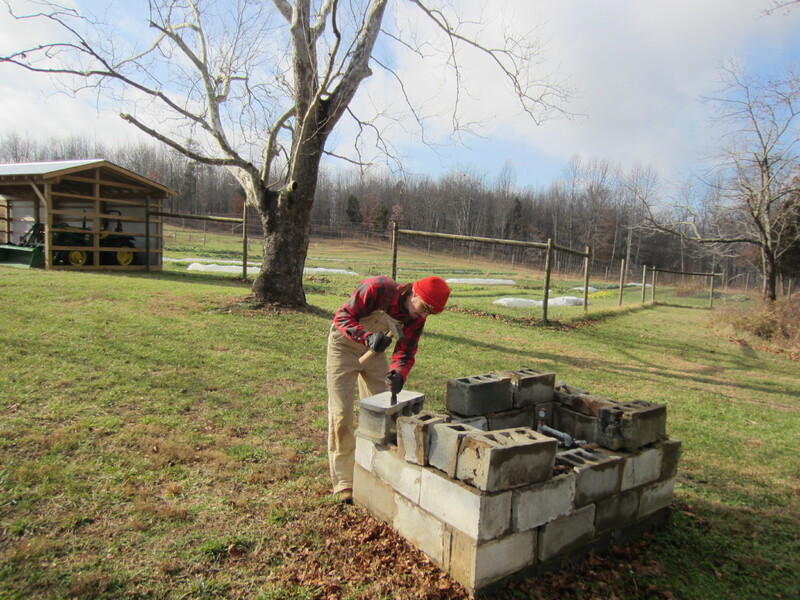 Gavin salvaged all the concrete blocks from the little building and we will re-use them as a foundation for stacking our next batch of shiitake logs. Lots of debris and soil to remove as the method of construction consisted of laying batt insulation right against the ground. Now there will be no more crazy mowing patterns in this area. Another project was to label the shiitake logs we started last year. 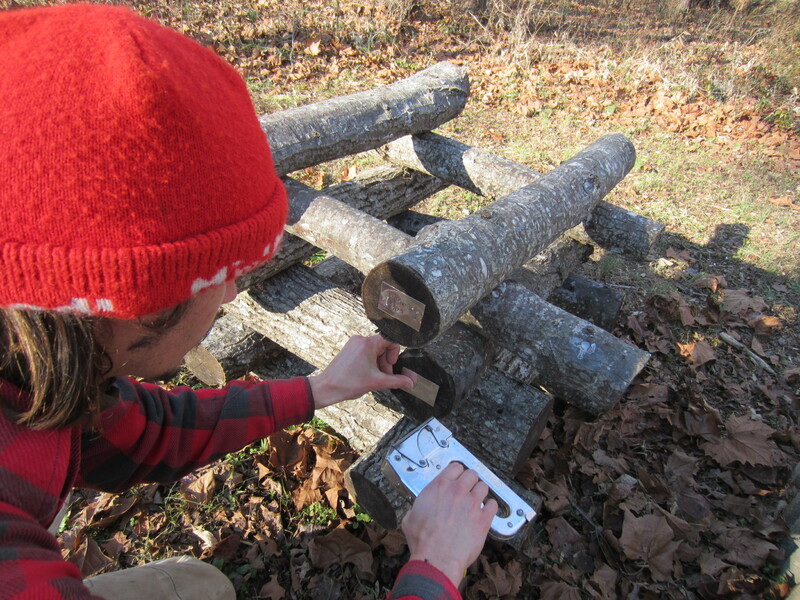 In February we will begin another round of logs. We wanted to make sure we had this done before we started again so we don’t mix up the strains when we re-stack them. 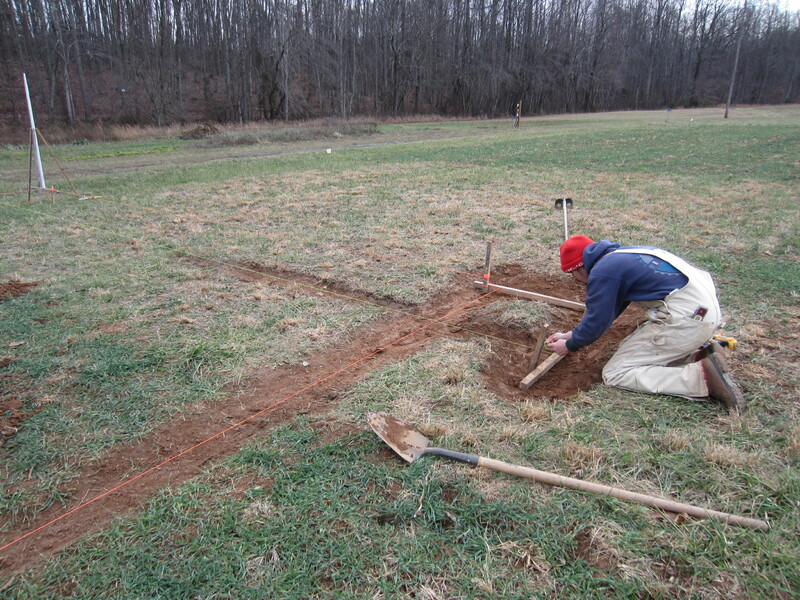 Did a little leveling for the new high tunnel site. Luckily it is already fairly level. 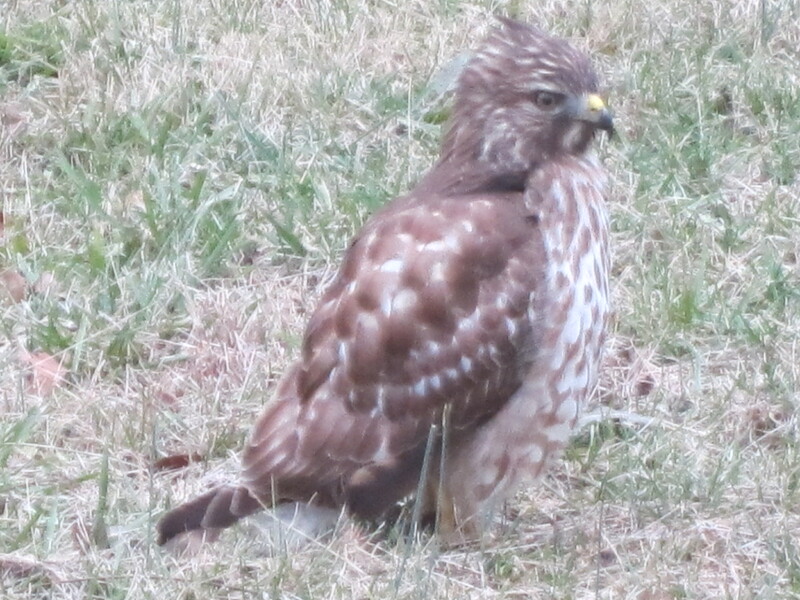 This hawk has been hanging around and will allow me within 25 feet. I finally saw that he has a leg injury and has a little trouble getting around. But he still does a good job of catching field mice. 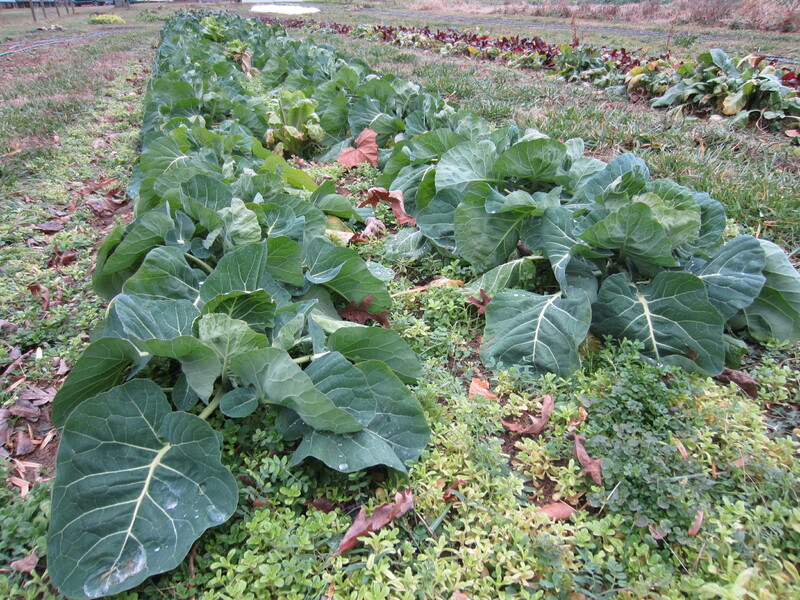 This row of late-planted butterhead lettuce (along with some healthy winter weeds) is outside, without row cover, and continues to hold with the mild winter weather. Yes, there have been cold spells and some hard freezes, but overall it feels like another warm winter. I remember last year I had some butterheads outside under row cover and they were melted down by January 1. I took advantage of the 70 degree temperatures this weekend to get out in the potting house and start some trays of seeds… the first of the year! With weather like this it is hard not to get excited. 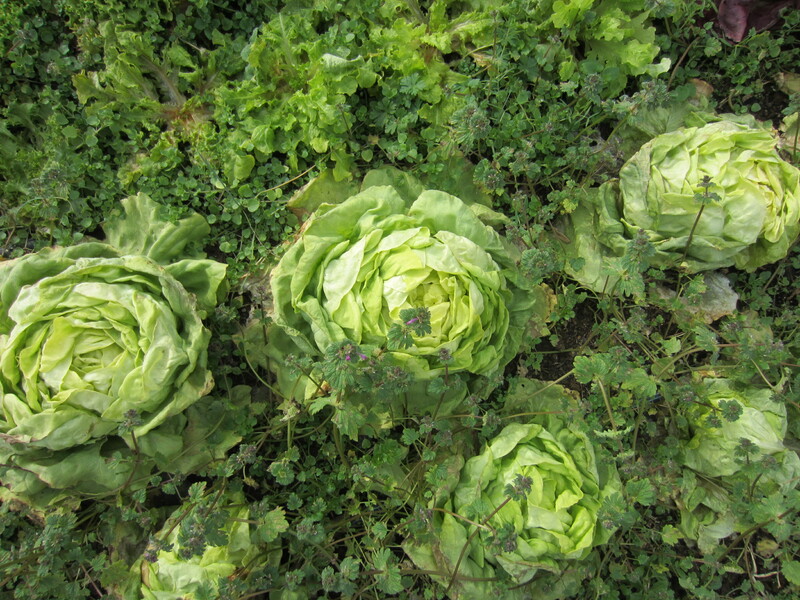 The second planting of brussels sprouts still holding in the field. 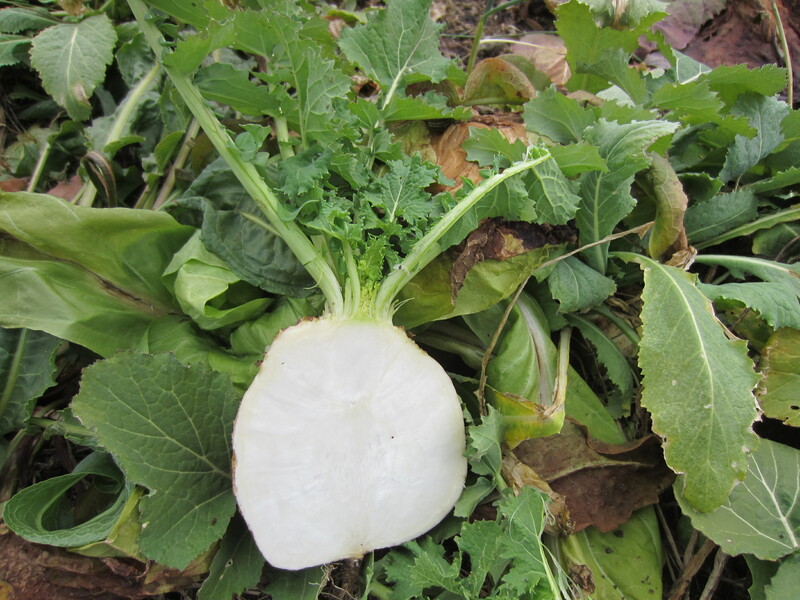 Have even had a little success with overwintering celery in the high tunnel. Thanks for the update and the awesome photos. Keep up the great work. 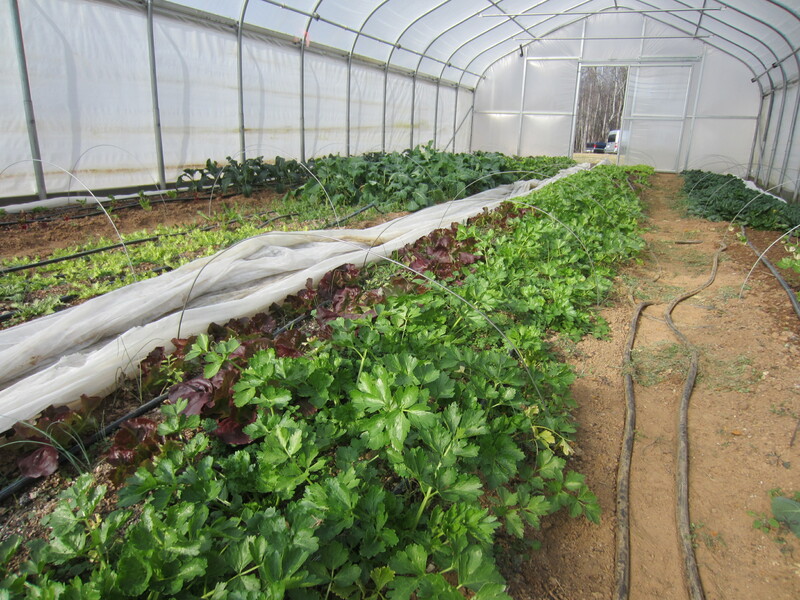 We need as many small farmers as we can get to create a sustainable, nutritious food supply. I agree, we need more small farms! 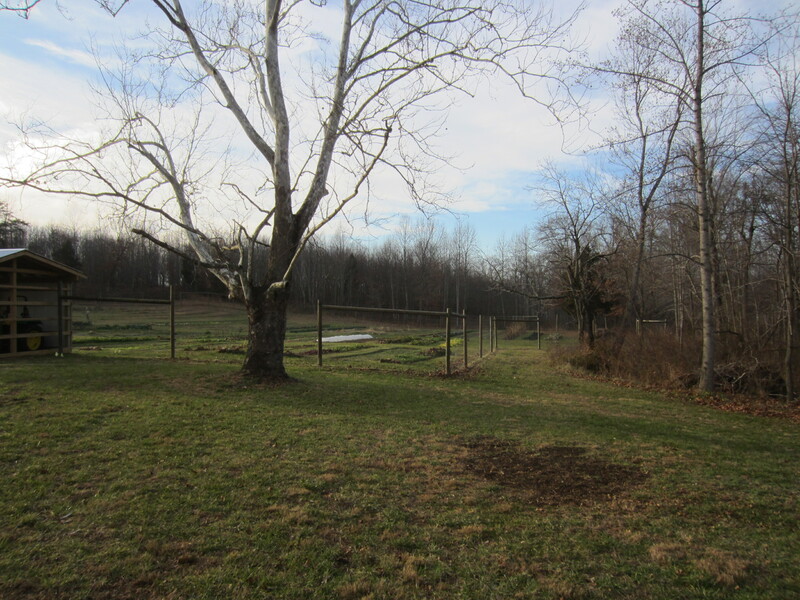 It worries me though when in the past year two of the CSA farms in our area have shut down due to the financial challenges of making a living from the land. But I also know of many farms far and wide that are doing it successfully and I believe it is possible. The end goal of creating healthy food for the local population is worth the efforts.